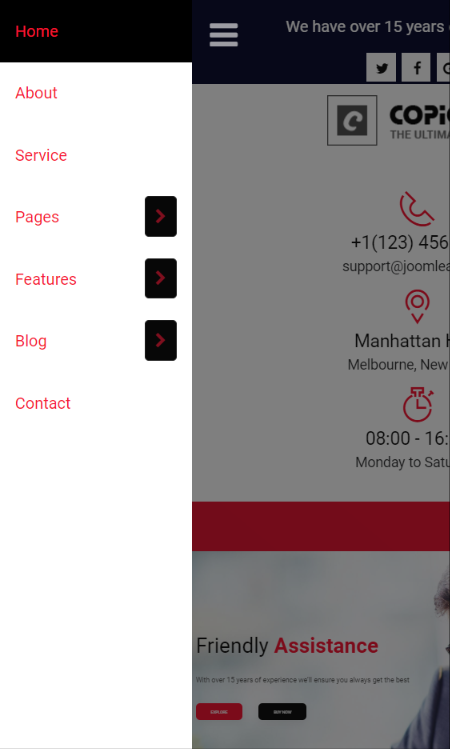 The section will help you with steps to install JL Copious template – Quickstart and Manual installation. JL Copious template is built on Gantry 5 Framework so it requires Gantry 5 Framework to be installed and enabled in your system. The quickstart allows you to replicate JL Copious demo to your server. It means, after install the quickstart, you will have a site exactly the same as the demo site. Download JL Copious quickstart package →, upload to your server and extract it. Go to: “Extensions → Template Manager”, set JL Copious template style as your default template style. 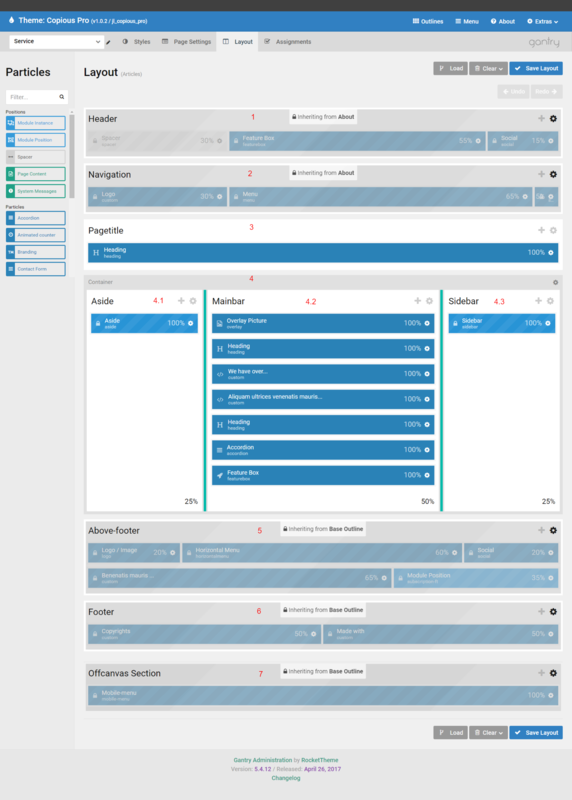 This section will help you understand about the Demo pages for Copious. How to design, reuse the content from quickstart package. Instead of starting from scratch, use our pre-designed pages to jumpstart your design process or get inspired. 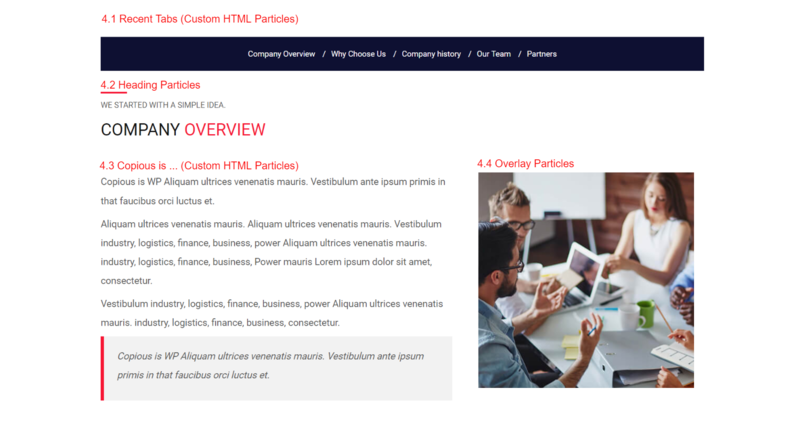 The Navigation Section contains We have (Custom HTML Particles), Social Particles and Office Dropdown (Custom HTML Particles). To edit the Social icons, click the Social particle icon settings. The Header Section contains Logo Particles and Featurebox Particles. 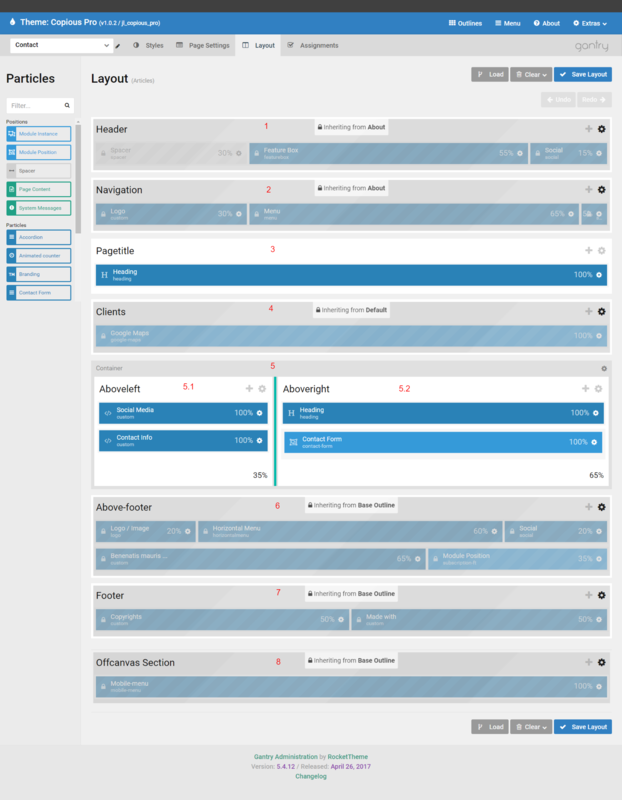 The Navigation Section contains Menu Particles and Search Particles. To edit the Search particle, click the Search particle icon settings. 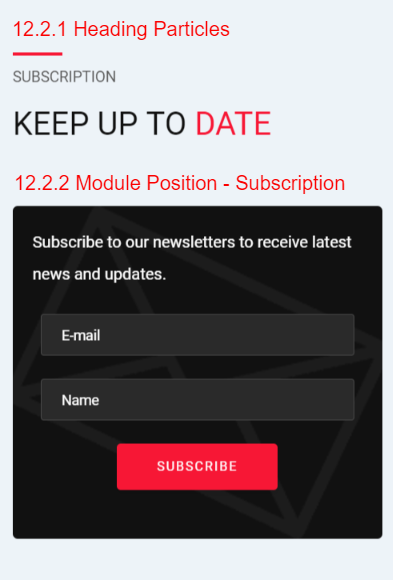 The Above Footer Section contains 2 rows, row 1 Logo Particles, Horizontal Menu Particles, Social Particles, row 2 Benenatis mauris … (Custom HTML Particles) and Module Position – Subscription FT. The Footer Section contains Coppyright (Custom HTML Particles) and Made With (Custom HTML Particles). This outline is assigned to Main Menu -> Home . If you want to edit the assignments and move it to another menu, please select Home from the outline list then switch to Assignments tab. You can assign this outline to whatever menu you want, then click the save assignments button. The Above Header section inherited from base outline so it copies particles and settings from base outline. If you want to edit this section for all pages, please go to Base Outline -> Section 1 above to edit the Above Header. If you want to edit for only Home page, remove the inheritance then edit it like Base Outline -> Section 1 above. The Header section inherited from base outline so it copies particles and settings from base outline. If you want to edit this section for all pages, please go to Base Outline -> Section 2 above to edit the Header. If you want to edit for only Home page, remove the inheritance then edit it like Base Outline -> Section 2 above. The Navigation section inherited from base outline so it copies particles and settings from base outline. If you want to edit this section for all pages, please go to Base Outline -> Section 3 above to edit the Navigation. If you want to edit for only Home page, remove the inheritance then edit it like Base Outline -> Section 3 above. 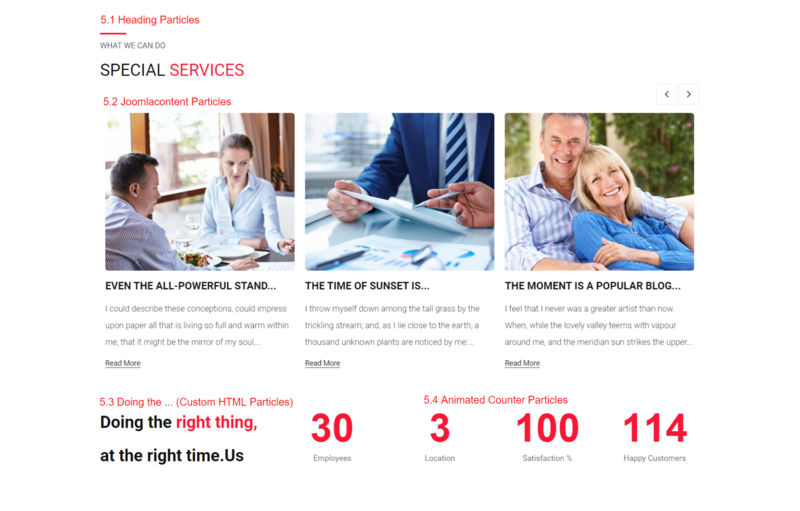 The Intro Section contains 3 rows, row 1 Heading Particles, row 2 Joomlacontent Particles, row 3 Doing the … (Custom HTML Particles) and Animated Counter Particles. 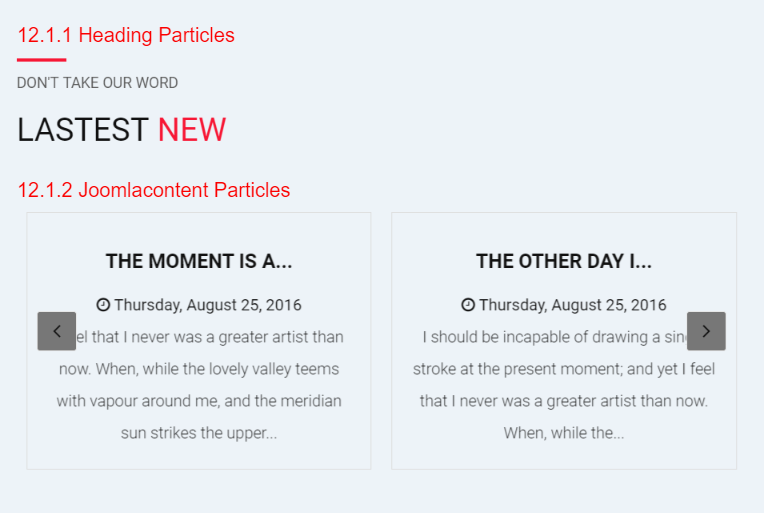 The Features Section contains Heading Particles. The Utility Section contains Featurebox Particles. The Container Above Section contains 2 Section : Aboveleft and Aboveright. The Aboveleft Section contains Overlay Particles. The Aboveright Section contains 2 rows, row 1 Heading Particles, row 2 Accordion Particles. The Expanded Section contains Contact Form Particles. 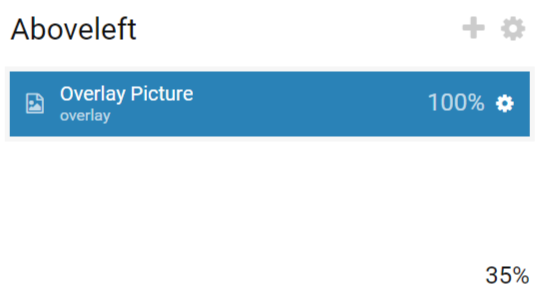 To edit the Contact Form particle, click the Contact Form particle icon settings. The Team Section contains 2 rows, row 1 Heading Particles, row 2 Member Particles. The Container Bottom Section contains 2 Section : Bottomleft and Bottomright. The Bottomleft Section contains 2 rows, row 1 Heading Particles, row 2 Joomlacontent Particles. The Bottomright Section contains 2 rows, row 1 Heading Particles, row 2 Module Postion – Subscription. 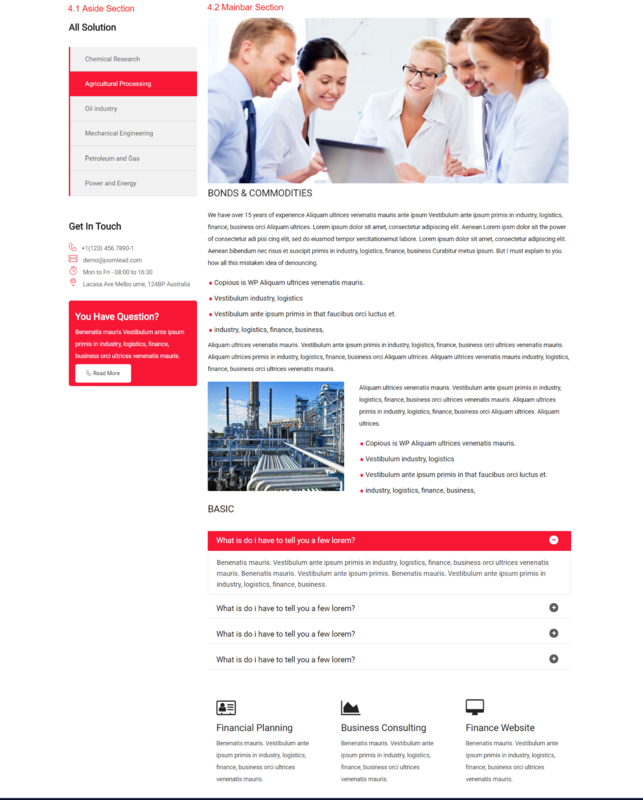 The Clients Section contains Module Postion – Google Maps. The Above Footer section inherited from base outline so it copies particles and settings from base outline. If you want to edit this section for all pages, please go to Base Outline -> Section 4 above to edit the Above Footer. If you want to edit for only Home page, remove the inheritance then edit it like Base Outline -> Section 4 above. The Footer section inherited from base outline so it copies particles and settings from base outline. If you want to edit this section for all pages, please go to Base Outline -> Section 5 above to edit the Footer. If you want to edit for only Home page, remove the inheritance then edit it like Base Outline -> Section 5 above. The Offcanvas section inherited from base outline so it copies particles and settings from base outline. If you want to edit this section for all pages, please go to Base Outline -> Section 6 above to edit the Offcanvas. If you want to edit for only Home page, remove the inheritance then edit it like Base Outline -> Section 6 above. This outline is assigned to Main Menu -> About Us . 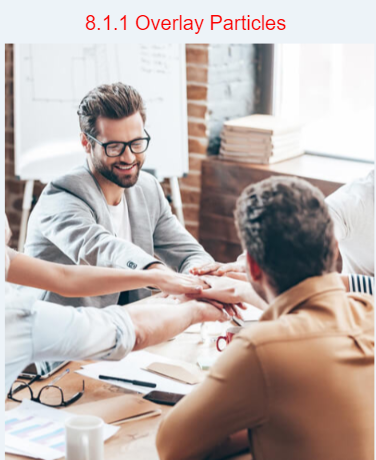 If you want to edit the assignments and move it to another menu, please select About Us from the outline list then switch to Assignments tab. You can assign this outline to whatever menu you want, then click the save assignments button. 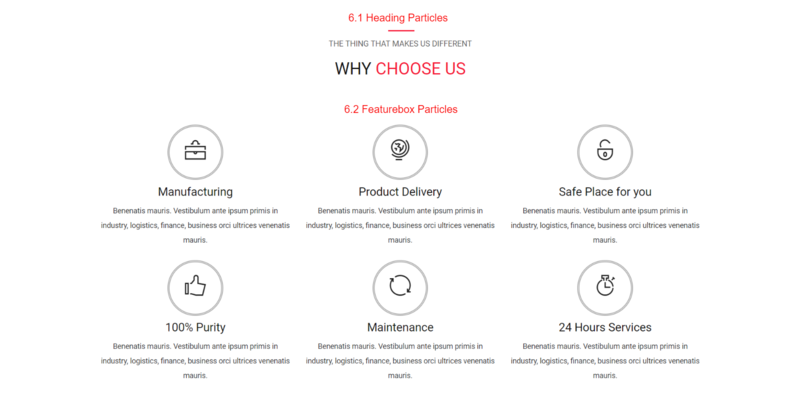 The Header Section contains Featurebox Particles and Social Particles. The Navigation Section contains Logo (Custom HTML Particles), Menu Particles and Search Particles. The Pagetitle Section contains Heading Particles. The Intro Section contains 3 rows, row 1 Recent Tab (Custom HTML Particles), row 2 Heading Particles, row 3 Copious is … (Custom HTML Particles) and Overlay Particles. The Features Section contains 2 rows, row 1 Heading Particles, row 2 Animated Counter Particles. 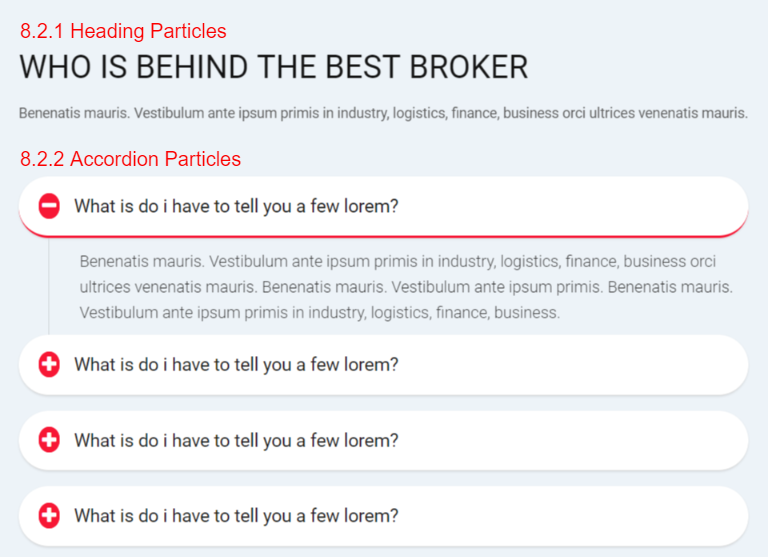 The Testimonial Section contains 2 rows, row 1 Heading Particles, row 2 Featurebox Particles. 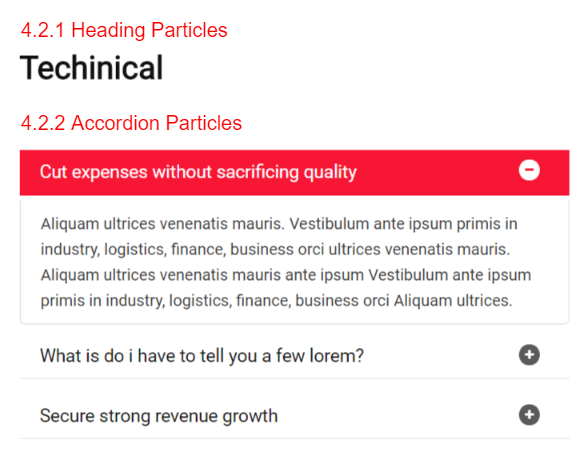 The Utility Section contains Accordion Particles and Progressbar Particles. 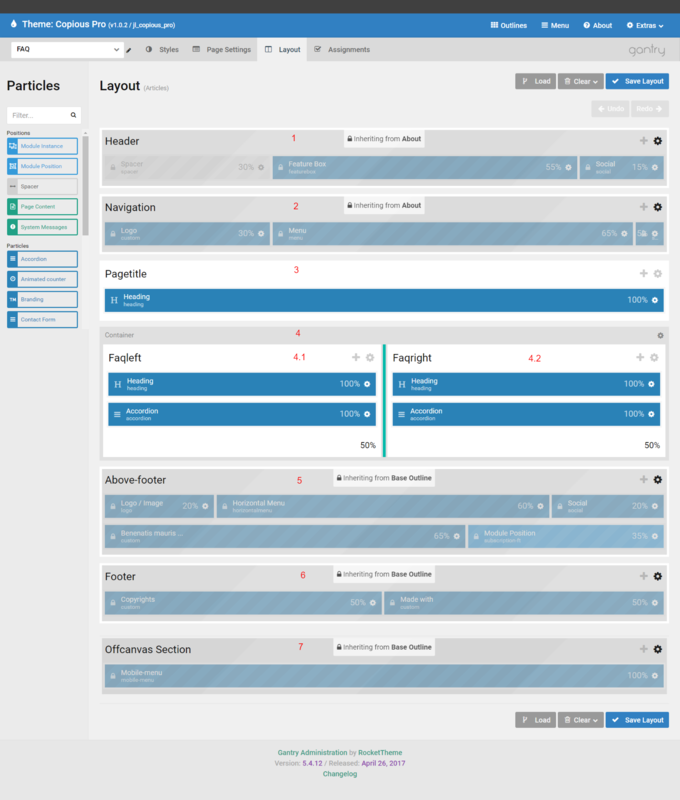 The History Section contains Heading Particles and Featurebox Particles. 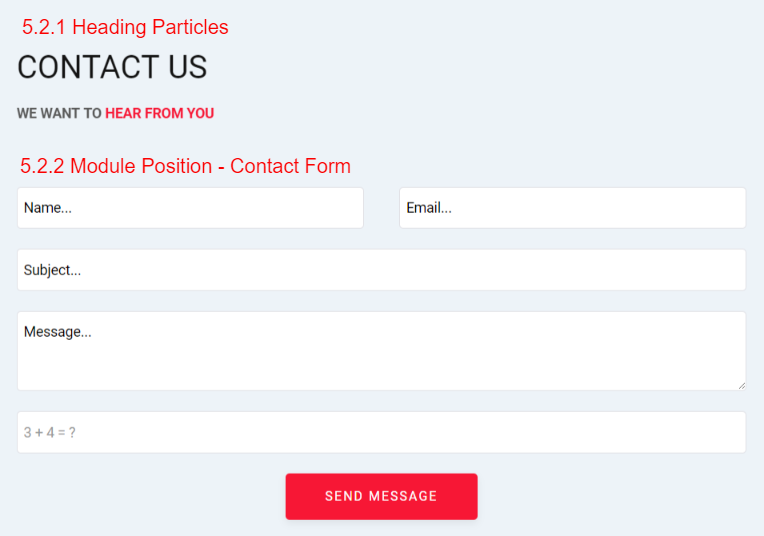 The Calltoaction Section contains Heading Particles. 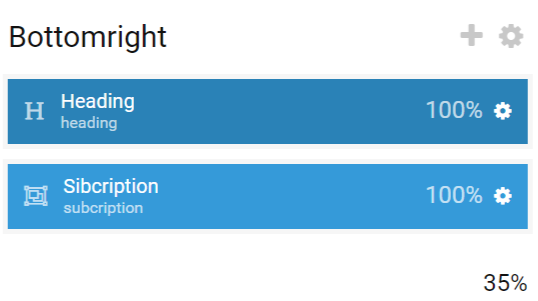 The Team section inherited from Default so it copies particles and settings from Default. If you want to edit this section for all pages, please go to Home -> Section 11 above to edit the Team. If you want to edit for only About page, remove the inheritance then edit it like Home -> Section 11 above. The Partners Section contains 2 rows, row 1 Heading Particles, row 2 Featurebox Particles. 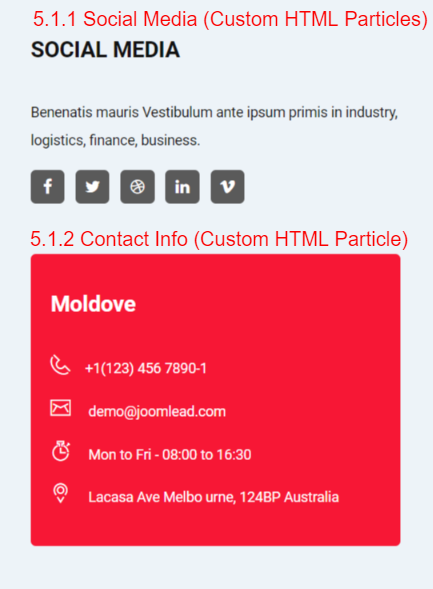 The Abovefooter Section contains About Copious, Quick Link, Lastest Post, Get In Touch (All Item Custom HTML Particles). The Footer section inherited from base outline so it copies particles and settings from base outline. If you want to edit this section for all pages, please go to Base Outline -> Section 5 above to edit the Footer. If you want to edit for only About page, remove the inheritance then edit it like Base Outline -> Section 5 above. The Offcanvas section inherited from base outline so it copies particles and settings from base outline. If you want to edit this section for all pages, please go to Base Outline -> Section 6 above to edit the Offcanvas. If you want to edit for only About page, remove the inheritance then edit it like Base Outline -> Section 6 above. To edit the Articles page, switch to layout tab. This outline inherited all from the base outline and about so if you want to edit, please edit the base outline and about or remove the inheritance and edit it like the base outline and about. The most important thing in this outline is the container Section which is devided into 3 column, each column is a sub section. This outline is assigned to Main Menu -> Page -> FAQ . If you want to edit the assignments and move it to another menu, please select FAQ from the outline list then switch to Assignments tab. You can assign this outline to whatever menu you want, then click the save assignments button. The Header section inherited from About so it copies particles and settings from About. If you want to edit this section for all pages, please go to About -> Section 1 above to edit the Header. If you want to edit for only FAQ page, remove the inheritance then edit it like About -> Section 1 above. The Navigation section inherited from About so it copies particles and settings from About. If you want to edit this section for all pages, please go to About -> Section 2 above to edit the Navigation. If you want to edit for only FAQ page, remove the inheritance then edit it like About -> Section 2 above. The Container FAQ Section contains 2 section Faqleft and Faqright. The Faqleft Section contains 2 rows, row 1 Heading Particles, row 2 Accordion Particles. The Faqright Section contains 2 rows, row 1 Heading Particles, row 2 Accordion Particles. The Above Footer section inherited from base outline so it copies particles and settings from base outline. If you want to edit this section for all pages, please go to Base Outline -> Section 4 above to edit the Above Footer. If you want to edit for only FAQ page, remove the inheritance then edit it like Base Outline -> Section 4 above. The Footer section inherited from base outline so it copies particles and settings from base outline. If you want to edit this section for all pages, please go to Base Outline -> Section 5 above to edit the Footer. If you want to edit for only FAQ page, remove the inheritance then edit it like Base Outline -> Section 5 above. The Offcanvas section inherited from base outline so it copies particles and settings from base outline. If you want to edit this section for all pages, please go to Base Outline -> Section 6 above to edit the Offcanvas. If you want to edit for only FAQ page, remove the inheritance then edit it like Base Outline -> Section 6 above. 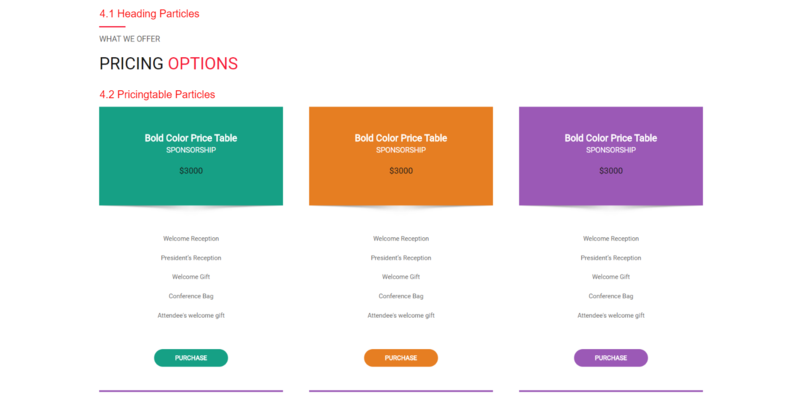 This outline is assigned to Main Menu -> Page -> Pricingtable . If you want to edit the assignments and move it to another menu, please select FAQ from the outline list then switch to Assignments tab. You can assign this outline to whatever menu you want, then click the save assignments button. The Header section inherited from About so it copies particles and settings from About. If you want to edit this section for all pages, please go to About -> Section 1 above to edit the Header. If you want to edit for only Pricing page, remove the inheritance then edit it like About -> Section 1 above. The Navigation section inherited from About so it copies particles and settings from About. If you want to edit this section for all pages, please go to About -> Section 2 above to edit the Navigation. If you want to edit for only Pricing page, remove the inheritance then edit it like About -> Section 2 above. The Intro Section contains 2 rows, row 1 Heading Particles, row 2 Pricingtable Particles. The Above Footer section inherited from base outline so it copies particles and settings from base outline. If you want to edit this section for all pages, please go to Base Outline -> Section 4 above to edit the Above Footer. If you want to edit for only Pricing page, remove the inheritance then edit it like Base Outline -> Section 4 above. The Footer section inherited from base outline so it copies particles and settings from base outline. If you want to edit this section for all pages, please go to Base Outline -> Section 5 above to edit the Footer. If you want to edit for only Pricing page, remove the inheritance then edit it like Base Outline -> Section 5 above. The Offcanvas section inherited from base outline so it copies particles and settings from base outline. If you want to edit this section for all pages, please go to Base Outline -> Section 6 above to edit the Offcanvas. If you want to edit for only Pricing page, remove the inheritance then edit it like Base Outline -> Section 6 above. The Header section inherited from About so it copies particles and settings from About. If you want to edit this section for all pages, please go to About -> Section 1 above to edit the Header. If you want to edit for only Contact page, remove the inheritance then edit it like About -> Section 1 above. The Navigation section inherited from About so it copies particles and settings from About. If you want to edit this section for all pages, please go to About -> Section 2 above to edit the Navigation. If you want to edit for only Contact page, remove the inheritance then edit it like About -> Section 2 above. The Clients section inherited from Defalut so it copies particles and settings from Defalut. If you want to edit this section for all pages, please go to Home -> Section 13 above to edit the Clients. If you want to edit for only Contact page, remove the inheritance then edit it like Home -> Section 13 above. The Container Above Section contains 2 section Aboveleft and Aboveright. 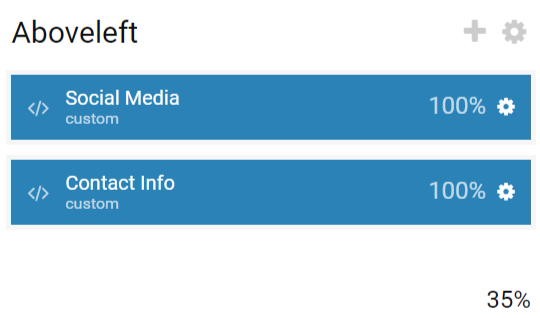 The Aboveleft Section contains 2 rows, row 1 Social Media (Custom HTML Particles), row 2 Contact Info (Custom HTML Particles). The Aboveright Section contains 2 rows, row 1 Heading Particles, row 2 Module Position – Contact Form. The Above Footer section inherited from base outline so it copies particles and settings from base outline. If you want to edit this section for all pages, please go to Base Outline -> Section 4 above to edit the Above Footer. If you want to edit for only Contact page, remove the inheritance then edit it like Base Outline -> Section 4 above. The Footer section inherited from base outline so it copies particles and settings from base outline. If you want to edit this section for all pages, please go to Base Outline -> Section 5 above to edit the Footer. If you want to edit for only Contact page, remove the inheritance then edit it like Base Outline -> Section 5 above. The Offcanvas section inherited from base outline so it copies particles and settings from base outline. If you want to edit this section for all pages, please go to Base Outline -> Section 6 above to edit the Offcanvas. If you want to edit for only Contact page, remove the inheritance then edit it like Base Outline -> Section 6 above. This outline is assigned to Main Menu -> Services . 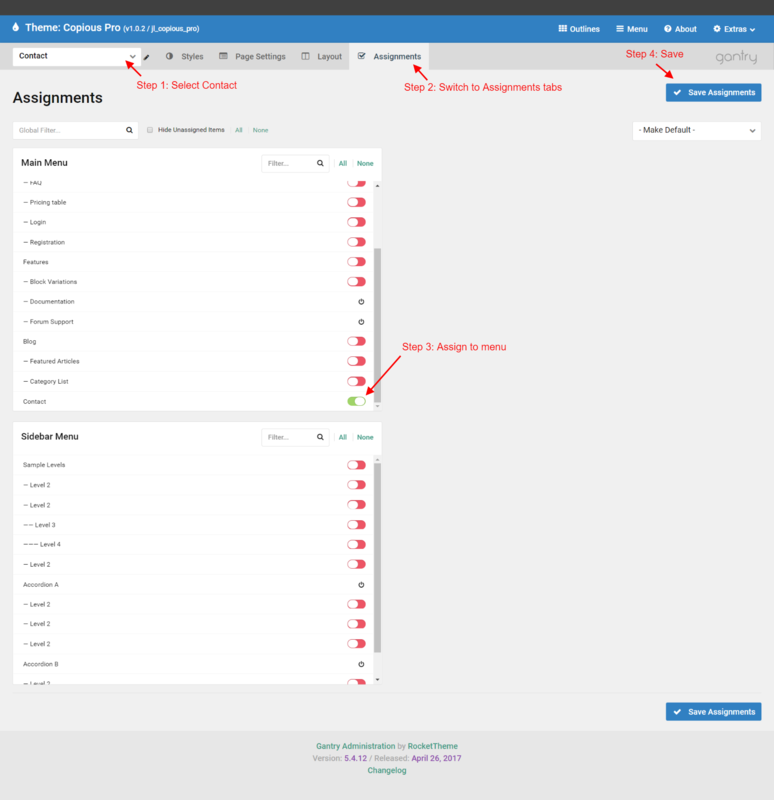 If you want to edit the assignments and move it to another menu, please select Services from the outline list then switch to Assignments tab. You can assign this outline to whatever menu you want, then click the save assignments button. The Header section inherited from About so it copies particles and settings from About. If you want to edit this section for all pages, please go to About -> Section 1 above to edit the Header. If you want to edit for only Services page, remove the inheritance then edit it like About -> Section 1 above. The Navigation section inherited from About so it copies particles and settings from About. If you want to edit this section for all pages, please go to About -> Section 2 above to edit the Navigation. If you want to edit for only Services page, remove the inheritance then edit it like About -> Section 2 above. 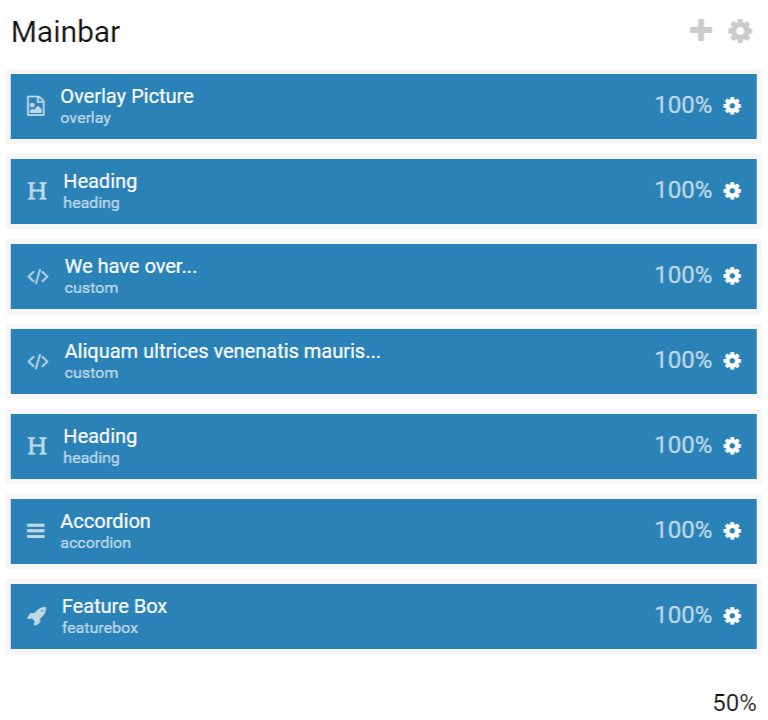 The Container Main Section contains 3 section Aside, Mainbar, Sidebar. The Aside Section contains Module Position – Aside. 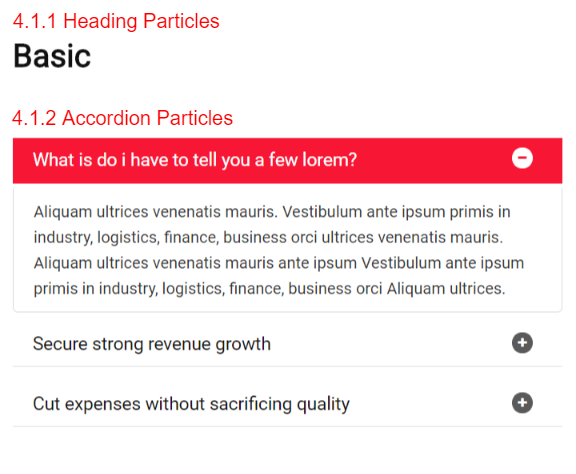 The Mainbar Section contains 7 rows, row 1 Overlay Particles, row 2 Heading Particles, row 3 We have over … (Custom HTML Particles),row 4 Aliquam ultrices venenatis mauris… (Custom HTML Particles), row 5 Heading Particles, row 6 Accordion Particles, row 7 Featurebox Particles. The Above Footer section inherited from base outline so it copies particles and settings from base outline. If you want to edit this section for all pages, please go to Base Outline -> Section 4 above to edit the Above Footer. If you want to edit for only Services page, remove the inheritance then edit it like Base Outline -> Section 4 above. The Footer section inherited from base outline so it copies particles and settings from base outline. If you want to edit this section for all pages, please go to Base Outline -> Section 5 above to edit the Footer. If you want to edit for only Services page, remove the inheritance then edit it like Base Outline -> Section 5 above. The Offcanvas section inherited from base outline so it copies particles and settings from base outline. If you want to edit this section for all pages, please go to Base Outline -> Section 6 above to edit the Offcanvas. If you want to edit for only Services page, remove the inheritance then edit it like Base Outline -> Section 6 above. JL Copious comes with unlimited module positions. 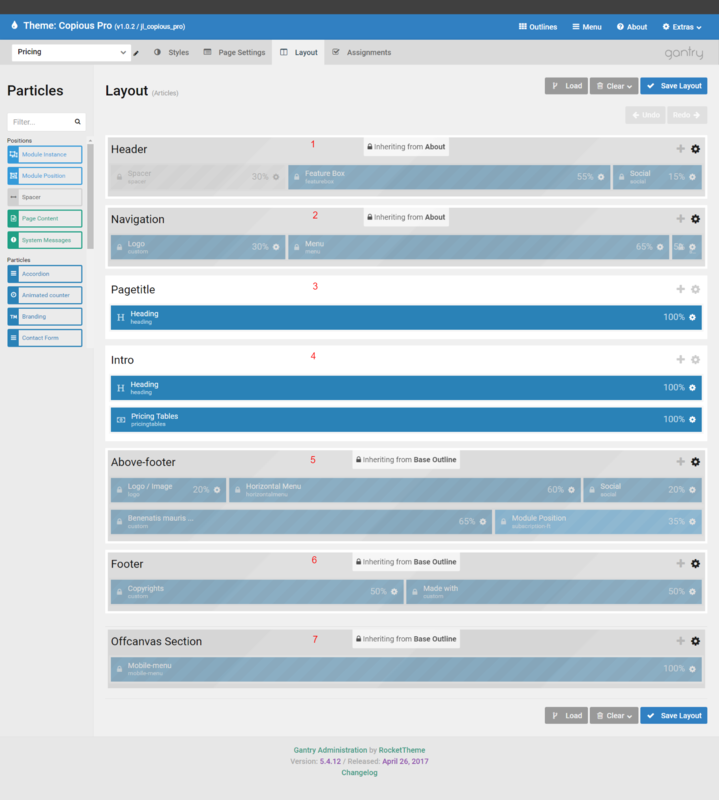 Thanks to the awesome Gantry 5 framework you can now easily create as many module positions as you want. You just need to go to the Layout Manager, drag and drop the “Module Position” particle wherever you want it to be and set the module position name.